Enrollment at Georgia Southern University has reached a historic high at 20,674 full-time students for Fall Semester 2016, marking an increase of more than 200 students from Fall Semester 2015. For the last five years, the University has consistently experienced enrollment numbers of approximately 20,500. 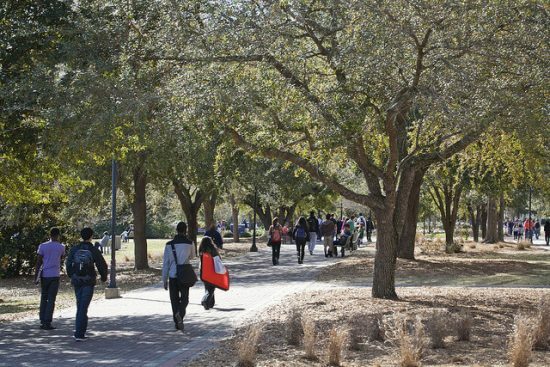 This year’s increase over last year’s enrollment of 20,459 represents a promising rise in full-time students, including 136 additional new freshmen, now enrolled at Georgia Southern. Georgia Southern boasts a 22:1 student-faculty ratio, which helps the University maintain its unique “small feel” for a higher education institution of its size. The University also provides hands-on learning with research opportunities for both undergraduate and graduate students. This semester’s record enrollment also includes an increase in the number of graduate students enrolled in the University’s Jack N. Averitt College of Graduate Studies.